Glenn Mitchell passed away peacefully at home at age 82, surrounded by loving family after a year-long battle with lymphoma. A Washington, DC native, he graduated in 1954 from St. John’s College High School, where his Eastern Interscholastic championship golf team is enshrined in the Athletic Hall of Fame. He played varsity basketball and golf at the University of Virginia, and was in the starting lineup against Maryland for the 1955 inaugural game at Cole Field House. In 1958 he won the Virginia Intercollegiate golf title and was runner-up by one shot in the ACC tournament. He then earned his law degree at Georgetown University, graduating in two-and-a-half years so that he could complete active duty in the Air Force before his wedding. The eldest son of former National Symphony Orchestra conductor Howard Mitchell and wife Alma, Glenn met Sylvia Platzer (daughter of Austrian Ambassador Wilfried Platzer and wife Edith) at the NSO’s 1958 season-opening concert. They were married in 1961 and raised seven children together. Glenn began his distinguished legal career as a trial attorney with the Federal Trade Commission. In 1965 he and Jacob Stein founded the law firm of Stein & Mitchell based on the trust and respect of a handshake. Glenn enjoyed a 50-year practice in a wide variety of criminal and civil cases, particularly antitrust and commercial litigation. His diverse clients included the PGA Tour, Lerner Enterprises, Master Chemical Corporation, Burns & Roe Group, Detroit Automobile Dealers Association, and countless individuals wronged by tortious conduct. He served as president of the D.C. Trial Lawyers Association in 1972-73. Today the firm he managed for more than 40 years thrives as Stein Mitchell Beato & Missner LLP in downtown Washington. On the day after Father’s Day in 2011, he moved the admission of his five sons to the U.S. Supreme Court, a historical first on which Chief Justice Roberts commented during the ceremony. 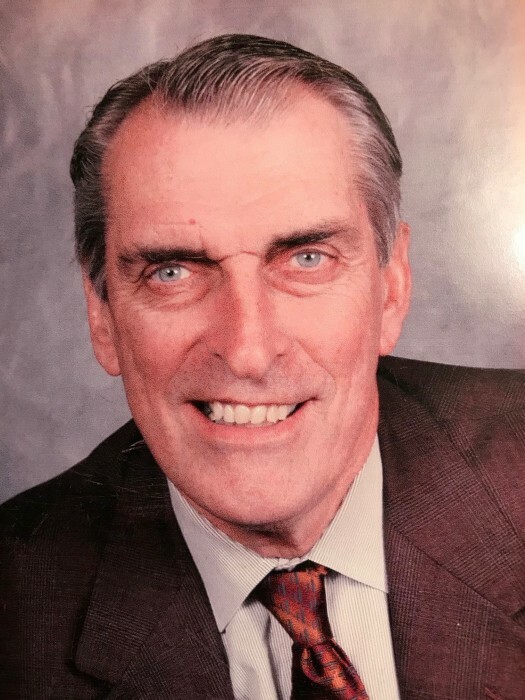 Glenn was an accomplished cellist, lifelong concertgoer, and aficionado of great music, serving on the boards of Young Concert Artists of Washington, the Washington Performing Arts Society, the Levine School of Music, and as General Counsel to the Cathedral Choral Society for 25 years. His other board service included the Bar Association of DC, Connelly School of the Holy Child, Little Flower Catholic Church, Washington Golf Charities, Inc., and The First Tee of Greater Washington, DC. Memorably energetic and passionate about golf, Glenn competed fiercely in tournaments and family matches at Columbia Country Club, where he also served as president when Columbia hosted the U.S. Junior Amateur Championship in 2003. Several times in the last decade he accomplished the rare golf feat of shooting his age. Glenn also loved being in Vermont like no place else. For more than 70 years he and his family made summer visits to Thompson’s Point in Charlotte. When not on Lake Champlain, or admiring its view from the deck of his camp, Lake Perch, he could be found on the golf course at Burlington Country Club (he was the 1958 club champion) or Vermont National, of which he became a charter member in 1998. The Thompson's Point community will miss him dearly. Glenn is survived by his beloved wife of 57 years, Sylvia Mitchell of Chevy Chase, MD; children Christopher (Constance) of Washington, DC; Thomas (Janene) of Chevy Chase, MD; Byron (Michelle) of Dumfries, VA; Stefanie (Miles Waite) of Burlington, VT; Michael (Jamie) of Chevy Chase, MD; and Karen of Chevy Chase, MD; siblings Lorraine Lutz of New York, NY; Martha of Burlington, VT; and Gerard of Bethesda, MD; as well as 16 grandchildren. He was predeceased by his youngest brother Andrew in 1992 and third son Eric in 2017. A Mass of Christian Burial will be on December 10 at 12:00 noon at Little Flower Catholic Church, 5607 Massachusetts Ave., Bethesda, MD 20816. Reception to follow at Columbia Country Club. Interment at Grandview Cemetery in Charlotte, VT. In lieu of flowers, donations in Glenn’s memory may be made to Young Concert Artists of Washington and The First Tee of Greater Washington, DC.